CODEWORD BARBÊLÔN is a book of stunning geopolitical revelations. It presents an array of facts that reveal a daring but subtle plan for seizing of global power—a compelling portrait of the future, and a most extraordinary account of international power and intrigue. “Good historians,” wrote Horace Walpole, “are the most scarce of all writers, and no wonder! A good style is not very common; thorough information is still rare; and if these meet, what a chance that impartiality should be added to them!” P.D. Stuart’s work possesses all of these qualities. Consisting of 46 chapters, and hundreds of footnotes, Codeword Barbêlôn covers a vast period of history, from the second and third centuries to the present day. Spatially, the work covers three continents, and focuses on Europe and North America and the hidden influence of secret societies on that continent. It encompasses, within its asides, many other countries too. Indeed, reading Codeword Barbêlôn, one cannot help but feel as if he were traveling in H. G. Wells’ time machine, finding himself sometimes at the City of Rome in the 16th Century, at other times in Bavarian Germany in the 18th Century, yet at other times in the political intrigues of North America in the 19th, 20th and 21st Centuries. Using his favourite technique, P.D. Stuart holds his judgments, and his readers, in suspense by offering the reader a range of options in the interpretation of an event—through fixing multiple layers of insinuation, innuendo, and hidden meaning; and by his coupling of contrasting facts; then explaining such antitheses. 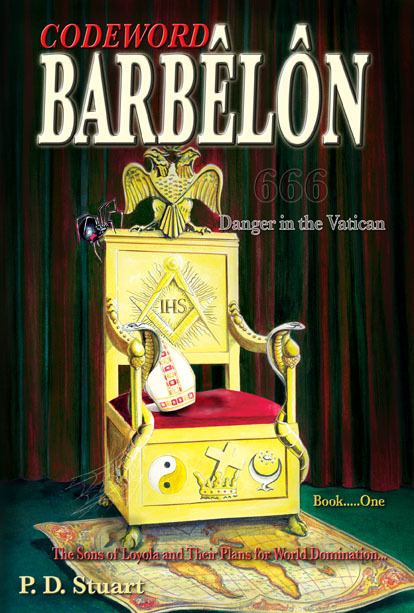 He identifies the role played by some of the major personalities in the history of the secret societies, from Jacques de Molay to Ignatius Loyola; from Adam Weishaupt to Adolf Hitler; from Cecil Rhodes to Albert Pike; from George Washington to the two most recent presidents of the United States of America , Bill Clinton and George W. Bush, Jnr. In doing so he uncovers a plot so sinister, that in the words of ex-FBI Director and founder, J. Edgar Hoover: “The individual... coming face-to-face with a conspiracy so monstrous... cannot believe it exists….” P.D. 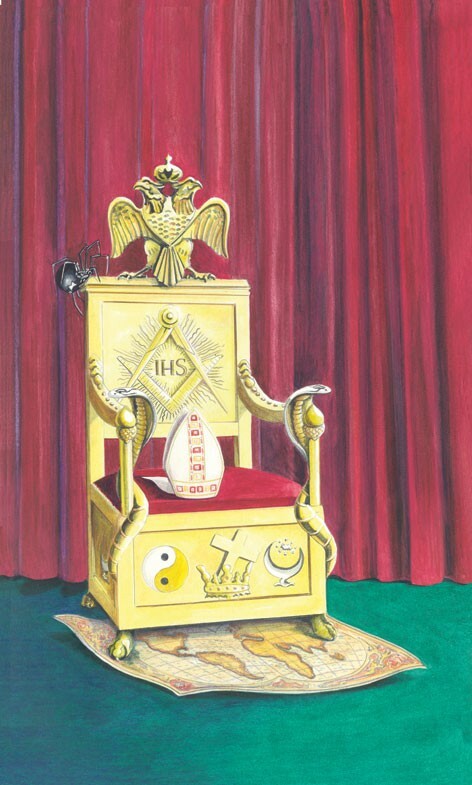 Stuart reveals the connection between the Illuminati, Skull and Bones, Phi Beta Kappa, the Council of Foreign Relations and other secretive fraternities—the American College sororities. Codeword Barbêlôn is undoubtedly a ‘tough book.’ It is direct, honest, and thought provoking. It contains no compromise, no apologies, and no vagaries; it spares no characters—all are lashed without ceremony. The result is a book that is extremely credible, erudite and compellingly readable. It represents the latest and most thorough use of the available material on the subject, bringing order and much needed clarity to the confusing mass of secret society books currently on the market. We guarantee that the reader will be charmed, and must be, by the wit and eloquence, the force and fire of every page of this groundbreaking book. 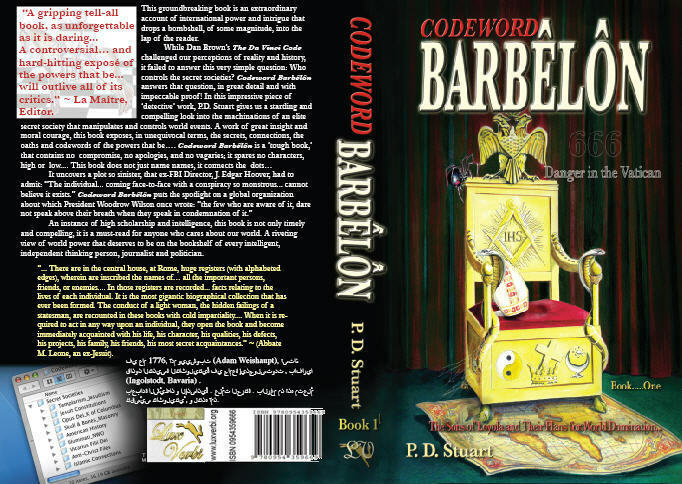 Codeword Barbêlôn is essential reading for anyone interested in the present day operations of the powerful secret societies at the heart of the best-selling The Da Vinci Code. Rest assured, however, that Stuart’s book is everything that Dan Brown’s is not. This book reveals facts that are so serious, so startling, so compelling that all should be made aware. To borrow the words of Henry Lincoln, “Something extraordinary is waiting to be found...” Do you still ask why you should care about what is written in this book? You shouldn’t; go back to sleep, all is well. ~ Savanarola La Maître, Louis de Montalte, and Philippe le Bel, Editors, 28 June 2007. • “The Novus Ordo Seculorum” ( عصر جديد أو نظام عالميّ جديد ) (New World Order) الذي هو أيضًا اسم كتابه المنشور في 1 مايو, 1776 . هذه العبارة اللّاتينيّة مكتوبة على الجانب المقابل لعملة الدولار الواحد و ذلك مع سنة 1776 بالأرقام الرّومانيّة في أسفل الهرم الماسونيّ . فوق الهرم عين الشّيطان مع عبارة أنويت كويبتيس “Annuit Coeptis” التي تعني بأنه أي ( الشّيطان ) قد ابتسم على مهامّنا . يعتقد معظم الأشخاص بأن التّاريخ 1776 لتشريف ولادة الولايات المتّحدة . لا , هذا التاريخ ليس للولايات المتّحدة بل لشرف العالم الواحد للشّيطان الذي أسسه وييشوبت كما رأينا . • في عام 1785 , واحد من أعضاء هذه الحركة و اسمه لانز (Lanze) و الذي كان يحمل الوثائق السّرّيّة إلى المحفل الكبير للطّبقة المستنيرة في باريس ( فرنسا ) , ضُرِبَ بالبرق في راتيسبون (Ratisbon) . الوثائق التي وُجدت على جسمه اُسْتُولت عليها الحكومة البافاريّة , و هي محفوظة الآن في السجلات (الأرشيف) في مدينة ميونيخ (Munich) . هذه الوثائق تكشف أنشطة الطّبقة المستنيرة ليس فقط في الثّورة الفرنسيّة لكنّ أيضًا في دمار كلّ الملوك و الدّيانات , باستثناء الشعب اليهودي . الجدول الزّمني لعام 1789 للثّورة الفرنسيّة قد نُفِّذَ بالضّبط كما هو مخطّط في الوثائق المستولى عليها . • بالرّغم من أنّ نظام الطّبقة المستنيرة كان مستقلًّا في البداية , لكنه التصق و تطعّم بالماسونيّة , في نقاط معينة , مثل الفطر . ثمّ في 16 يوليو, 1782, في اجتماع ويلهيلنسباد (Wilhelnsbad) , ألمانيا, أُعْطِيَ الأمر لبدء عهد السّيطرة على الماسونيّة و على نطاق واسع جداً و عالميّ .